The Homelessness Assistance Program is a new sub-program of Kitchen Connections that had launched back in 2015. Here at Mooresville Soup Kitchen, we are able to offer shower and laundry services on site for members of our community who do not have a home. We create an individualized housing plan with each guest in this program to assist them in staying off the street. We also offer non-perishable groceries, emergency family boxes, community and in-house resource referrals, as well as, tents, sleeping bags, and clothing for individuals who are currently struggling with homelessness. 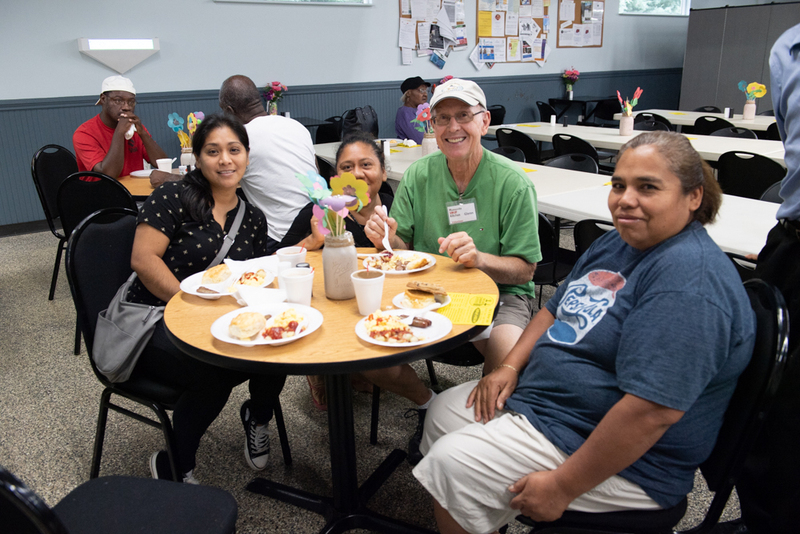 Our goal is to assist those who are actively homeless with essential everyday needs in an effort to ease the overwhelming burden of homelessness that these individuals are facing every day. With access to these services and resources, we can walk alongside our guests through their journey to stability. It is our mission to not only help them survive, but also thrive. Services are available at our resource center on-site.